Croutons are square shaped sauteed and seasoned bread cubes that is usually accompanied with soups or added in salads for crunch and taste or sometimes eaten as snack. 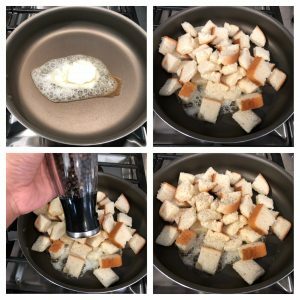 Croutons are usually baked snack that can be prepared in jiffy but I thought why not try stove top method to recreate the traditional croutons just to help those friends who don’t like to use oven. 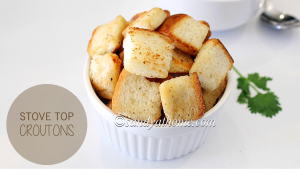 Croutons taste absolutely yum and they can be seasoned according to your tastes as well. 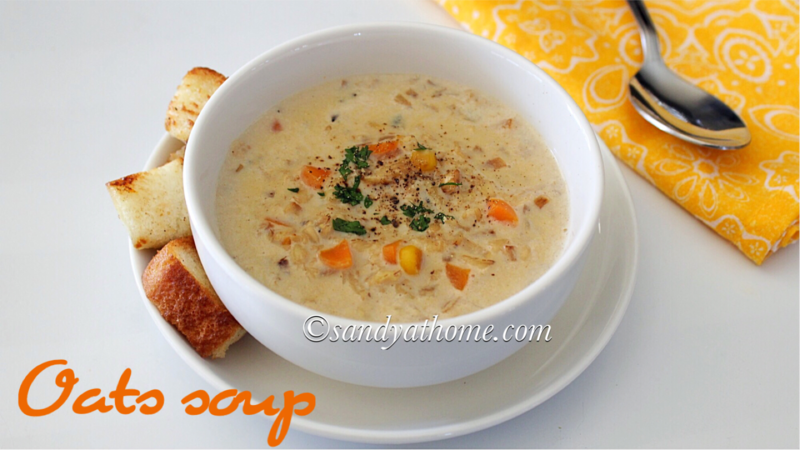 But this recipe is all about basic croutons that go well with any soup. So if you have read my yesterday’s post then you know for sure that this post is a continuation of it. 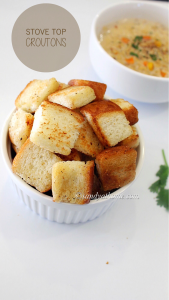 Yes I am talking about the oats soup and if you still haven’t tried it yet, try making it along with these delish croutons to make your evening a soupy one. So all you need is 4 ingredients and 10 minutes voila its going to be ready. If you are thinking what to do with your stale bread then put it for use today with this recipe. So lets get to the making! 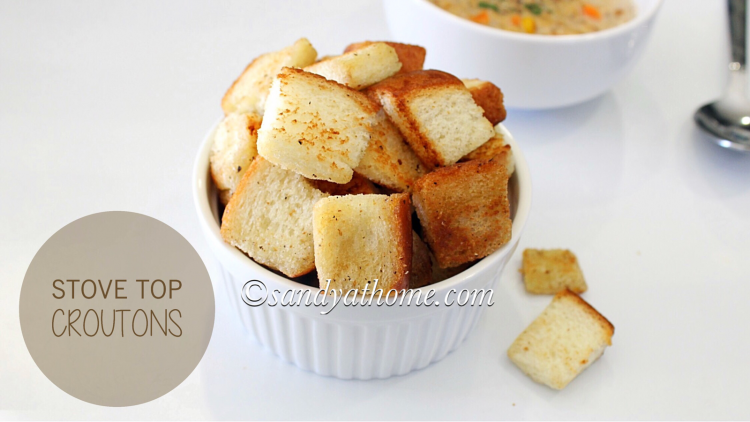 Chop 4 slices of white bread into cubes and keep it aside. Heat a tawa and add butter. When butter has melted add the bread cubes, salt and pepper. Toss it well. Keep tossing it in low flame for about 10 minutes occasionally till you achieve nice aroma and slightly golden crisp croutons. When done put off the flame and serve it with hot soup. 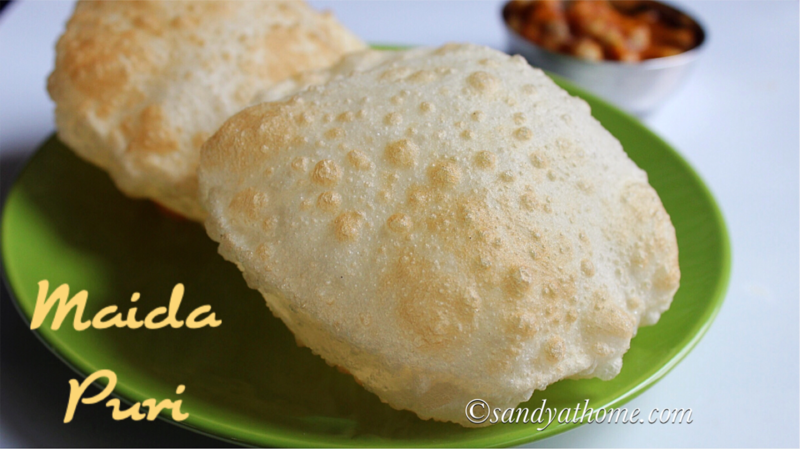 Heat a tawa and add butter. When butter has melted add the bread cubes, salt and pepper. Toss it well. Keep tossing it in low flame for about 10 minutes occasionally till you achieve nice aroma and slightly golden crisp croutons. When done put off the flame and serve it with hot soup. Store the leftover croutons in air tight container for upto a week.